In this eBook, designed for IT professionals, we will focus on an individual opportunity for IT and Marketing to innovate together. More specifically, on how to build an integration between SAP Marketing and the social media monitoring tool, Sprinklr, to enable real-time monitoring, segmentation and analysis within SAP Marketing. 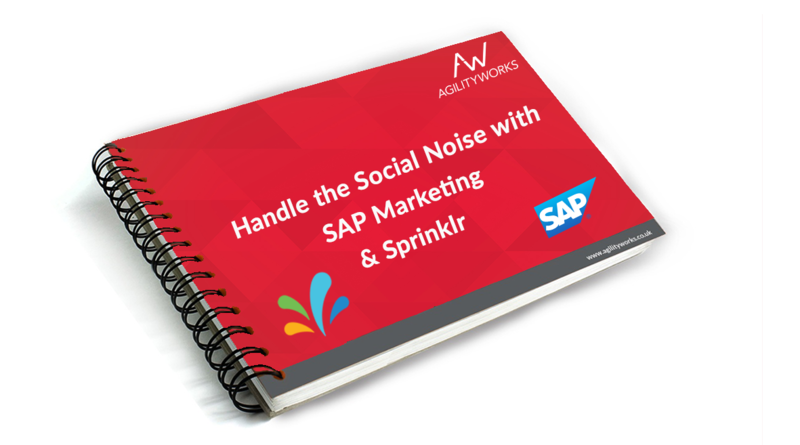 How to build an integration between SAP Marketing and social media monitoring tool Sprinklr. How to pull the social posts filtered by Sprinklr to SAP Marketing and enrich golden customers. Simply complete the form to access your eBook.